Beyond the excitement of marrying the man of your dreams, one of the perks of planning your wedding is having all your closest girls come together in honor of celebrating this special time in your life! These girls have stood by your side, lifted you during hard times, and rejoiced in your happiness, so gathering your bridesmaids is the perfect opportunity to celebrate and honor your girls! Not to mention, it’s a great excuse to have fun, gossip, be pampered and relish in ultimate girly get togethers! The next few months are all about you, so take one day to focus on your girls – Make it one for the books! Read on for some inspiration. Two jaw dropping places come to mind for an impressive brunch. First stop! 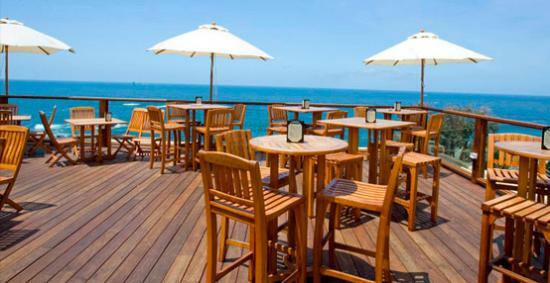 – The Rooftop Lounge in Laguna Beach. Between the sparkling Mimosas, delicious variety of Tapas platters, and astonishing ocean view, you’re bound to make a memory full of laughs, and smiles with your girls! 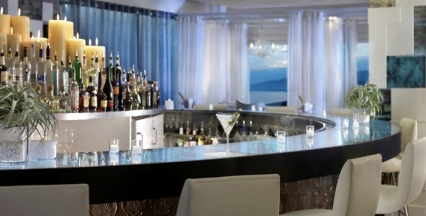 This lounge is the ultimate find, a perfect mix of casual and class. The Rooftop Lounge is an intimate atmosphere where you and your girls can relax, reminisce, and enjoy each others company to the fullest. 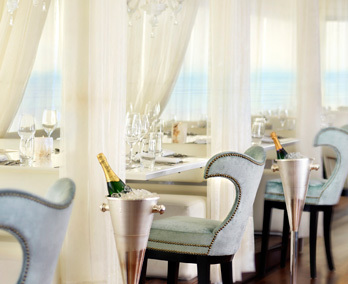 Alternatively, for a grand and lavish experience, a brunch at The Penthouse Lounge in The Huntley Hotel in Santa Monica is sure to leave an impression! 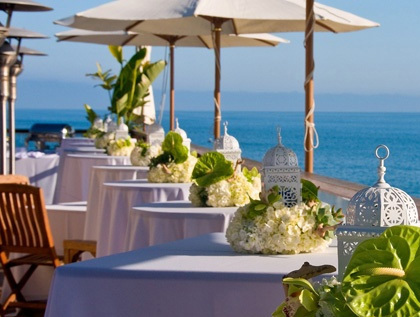 Between the restaurant’s undeniably chic decor, the beautiful ocean view, and the servings that will leave your mouth watering, this experience is guaranteed to make your girls feel like royalty! Go above and beyond by presenting them with fun gifts, whether it be matching jewelry, spa gift certificates or a bridesmaid robe for your wedding day. After this dream brunch, re-entering reality might be a challenge! For a more active get together, treat your bridesmaids to an amazing yoga session! Challenge yourselves to find peace, balance, and harmony all while getting toned and wedding day ready! 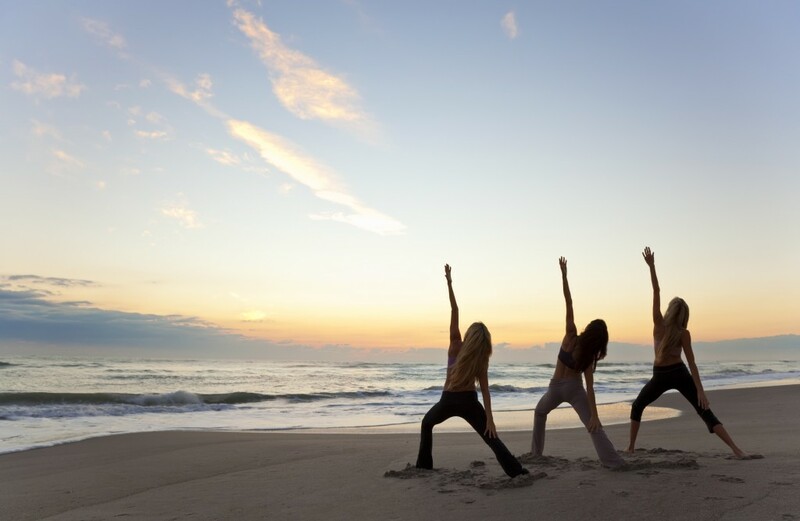 Hire a yoga instructor to guide you and your girls through a peaceful practice of Yoga. Holding a fun session like this, will bond everyone as you work hard, sweat, relax your mind and perhaps even share a few laughs! Yoga is good for the mind and soul and is recognized as a HUGE stress relieving practice. What girl doesn’t love to get her hair done before a night out?! 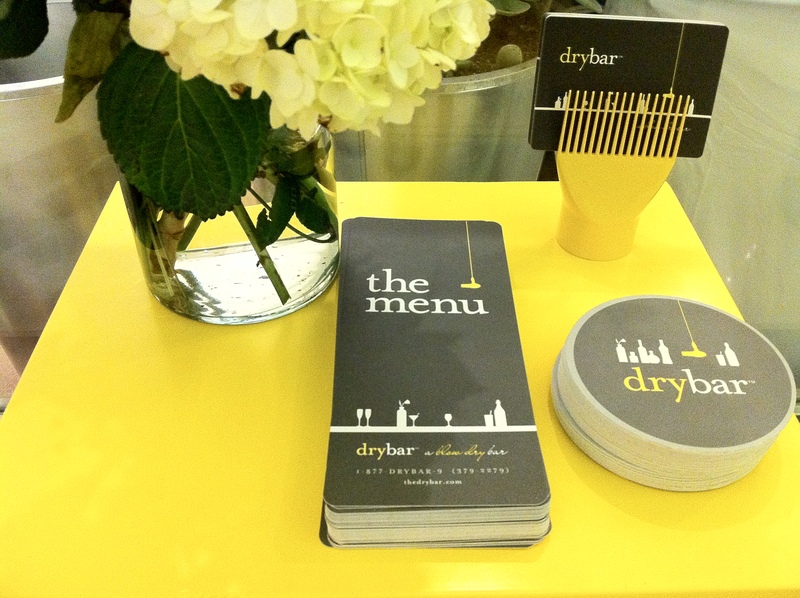 For an affordable price you can pamper your girls with a fabulous blow out at your local Drybar. 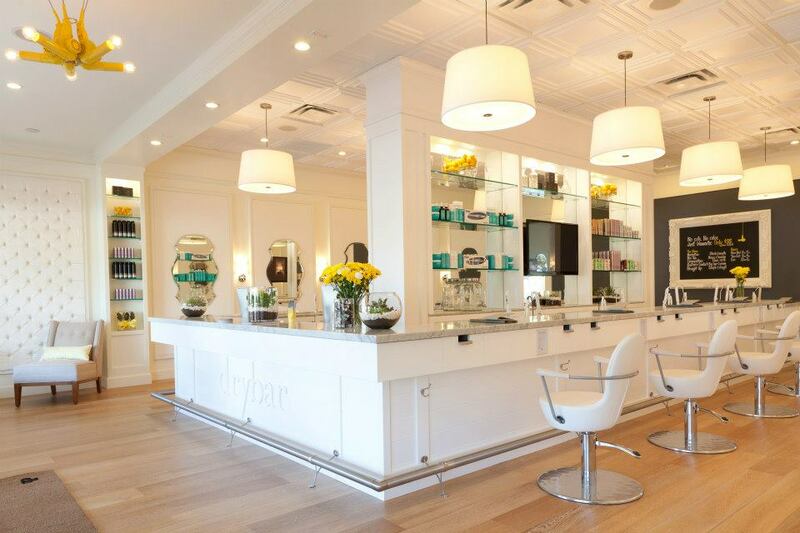 They host private parties and even provide cocktails while you get your hair done! Get the party started early and hit the town feeling like a million bucks. 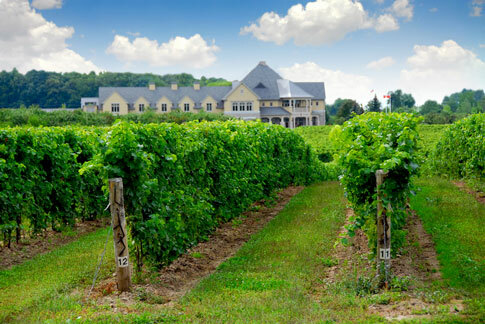 How does touring acres of lush vineyards sound? 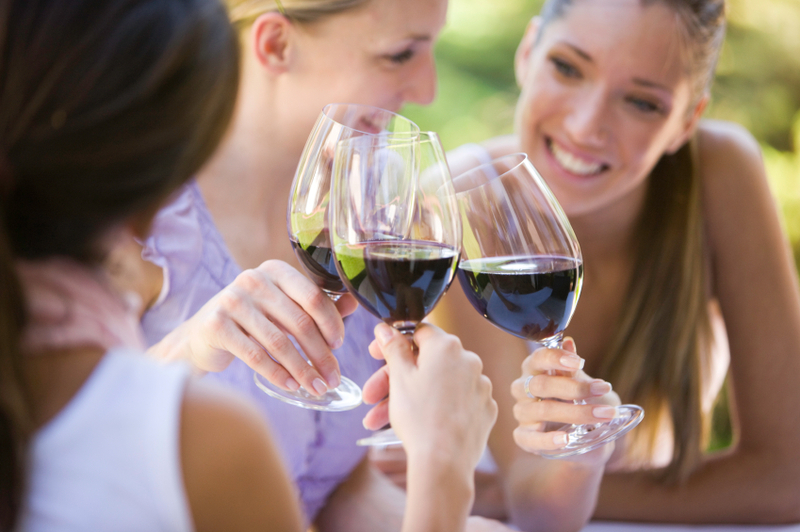 As if the sole thought of wine tasting with your closest friends isn’t fun enough, you might be surprised to learn that red wine, in moderation, is actually beneficial to your health! Just another fun perk to this wine tasting extravaganza! Red wine is loaded with antioxidants. For the sake of fun and good health, raise your glasses and cheers!